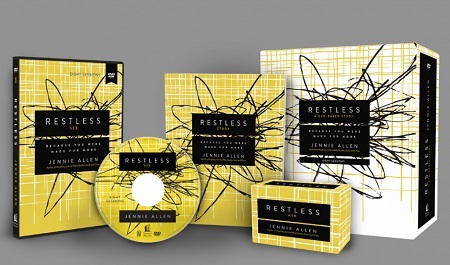 This is our last week of the Restless Project. I know. The What Now? factor has kicked in. What do we do with all of our threads? Before we go any further, it’s important that we remember this comment from Jennie that just cracked me up: Without a new soul, without the Spirit filling us, we are just jacked-up, stuck humans. That is so true! Let’s talk about the Holy Spirit. What do you think about the Holy Spirit? Do you envision a dove? Or a cloud? Wind? Fire? Is He a big question mark for you? Do you have a relationship with the Holy Spirit? Do you feel filled with the Holy Spirit? Because if you’ve received Jesus as your Savior, the third Person of the Trinity, God the Holy Spirit indwells you (John 14:17, Ephesians 2:22, 1 Corinthians 3:16, 1 Corinthians 6:19, 1 John 2:27, 1 John 3:24). God Himself! When Jesus arose, He appeared to the disciples. He appeared right in front of them! He spoke! He ate! He explained the Scriptures to them. Can you imagine how instantaneously everything they thought, felt, feared, and cared about changed? In His final huddle with His followers, His last teaching on earth, Jesus told them that they would not be left alone. He would send a Comforter, an Advocate, a Helper. We’re not supposed to do anything without the Holy Spirit. We are to wait for His leading, His power, His counsel, and His comfort. Jesus didn’t act without God the Father’s leading (John 5:19-30) so how much more so should that be true of you and me? It’s also important to remember that we have an enemy and he is a punk. He does his best to render us as ineffective, as impotent as possible, and he’s good at his job. He comes and speaks words of rejection and abandonment. He drags out the black cloud of shame and embarrassment. He lobs chaos into our relationships. He messes with our lives to distract, annoy, and derail us. He’ll do pretty much whatever it takes to deflate, disable, and sideline you so that you will not fulfill the plan of God in your life. We need the Holy Spirit. We don’t just need Him, we neeeed Him. Desperately. How is that so easy to forget? How is it that fear can win with barely a fight when we have the fathomless power of the Holy Spirit on our side to be victorious in accomplishing anything He has for us to do? It encourages me to read about Joshua. How many times the Lord told Joshua not to be afraid. Just search “be strong and courageous” and see how many times God said not to be afraid. That means this champion of the faith felt great fear! Joshua 1:9 alone reminds me that Joshua wobbled, he trembled, he quaked. So fear isn’t really the issue, the enemy’s wicked tactics for our destruction aren’t really what matters, the terrible, heartbreaking things that may or may not happen, what something looks like from our perspective, impossibilities, roadblocks, empty hands, incapabilities, whatever – they don’t mean a lot. What matters is the Holy Spirit. In Acts 2 the Holy Spirit came on the day of Pentecost. Don’t you wish you were there for that? That’s another scene I want to see on instant-replay when we get to heaven! These last few years I’ve gotten to know the Holy Spirit enough to realize I can’t function without Him. At all. I’m an easy target for Satan when I’m not fully relying on God. Really, in the past, he hardly had to try at all. He sidelined me with chaos, heartbreak, arguments, panic, and all manner of crisis. But, I’m learning to slow down and listen, to not move or decide anything until I ask Him to fill me again. I leak. I do. I empty so easily. I’m learning to stop, and ask, and wait until I hear from the Holy Spirit, until I get an inkling what He wants me to do, until I see that single step right ahead of me. Looking at my threads this week and back over my previous blogs, there’s no doubt there’s a theme: ministering to and helping other women. So, last night I took a few steps. A few brave steps. 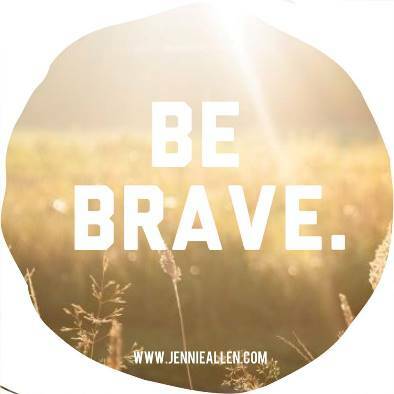 Are you ready to be brave with me? Are you ready to take a few steps, or just one step with the Holy Spirit’s leading? You can do it! We’re wrapping up our Bible Study hangouts this week! Did you see our Week 7 live-chat on Passion? If not, here’s the replay! 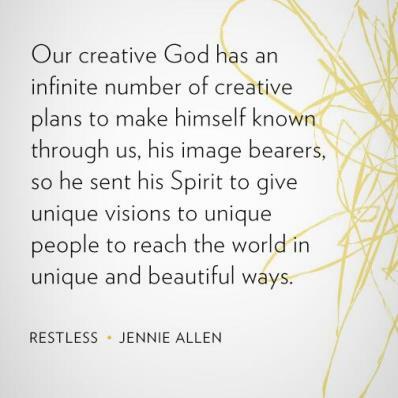 Also, join us on Instagram, Twitter, and Facebook using #RestlessProject. Join the conversation and ask questions! Holy Spirit, we love you. Come and fill us again because we are so prone to leak. Thank You for Your Presence. Thank You that You are so willing to meet us exactly where we are and that You speak tenderly. Thank You for comforting us in our sorrows and for redeeming them so that we may comfort others in the way we have been comforted (2 Corinthians 1:4). Thank You for the places You have us, the people You’ve put in our paths, the gifts You’ve given us, and even for our sufferings. Thank You that You want to include us in Your grand story. Show us this week what we are to do with the threads of our lives. Show us the next step, God. We give You all the glory. Amen. Author Chat Replay. Watch the 1-hour video with Jennie that kicked off our online Bible study! Restless Study Week 1, What’s Holding You Back from Dreaming?